Project ICP research partner Dr. Jim Cane (USDA-ARS, Logan, UT; Utah State University) has published a new four-page guide to supporting nesting bees in your garden or yard. The fact sheet describes simple landscaping and gardening practices that can provide essential nesting needs of native bees, including ground nesting, twig and stem nesting, and wood nesting bees. The guide can be found at: https://extension.usu.edu/files/publications/factsheet/ENT-175-15.pdf. 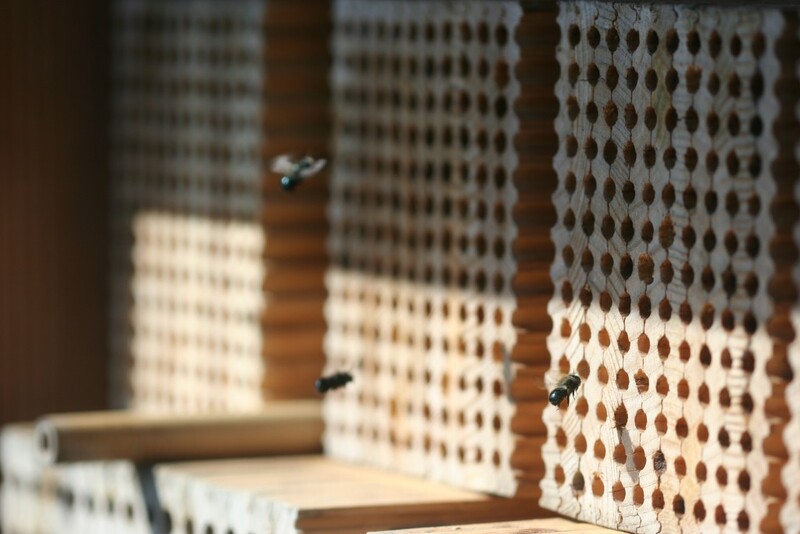 Mason bees (Osmia sp.) entering a nesting block. Photo: Emily May.